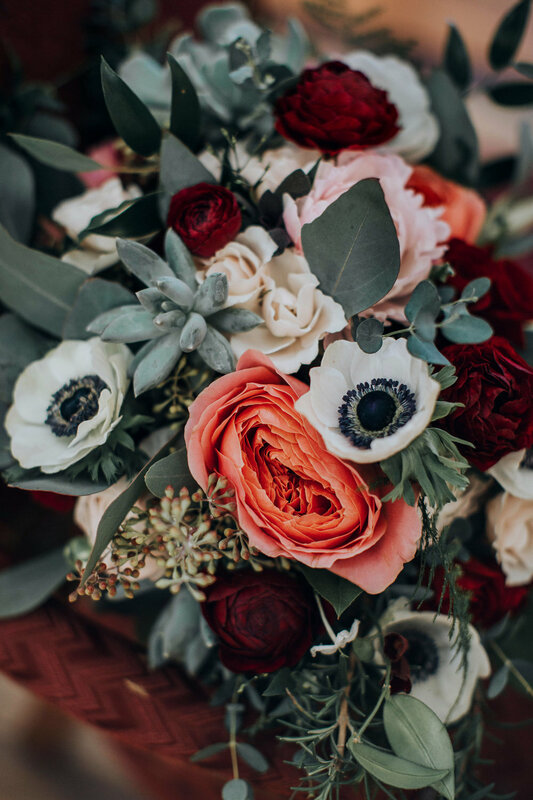 This gorgeous wedding is one of my favorite weddings to date, and with so many lovely images by Jennifer Crook Photography I felt I simply must share all the beautiful details! It was a hot September day in Chattanooga. Absolutely perfect for a wedding in the cool, modern space of The Hunter Museum. Lauren & Wouter wanted to bring a natural gardeny feel into this angular modern space, including lots of greenery and vines, along with some magnificent protea varieties since protea is the national flower of South Africa, Wouters homeland. Shaun Cox, and her team from Cue the Champagne did an awesome job of coordinating all other details of the day. The beautiful cake was by Yellow Cake Company with the flowers provided by me Flowers by Tami Enjoy! Beautiful Bride with Flowers in her Hair. 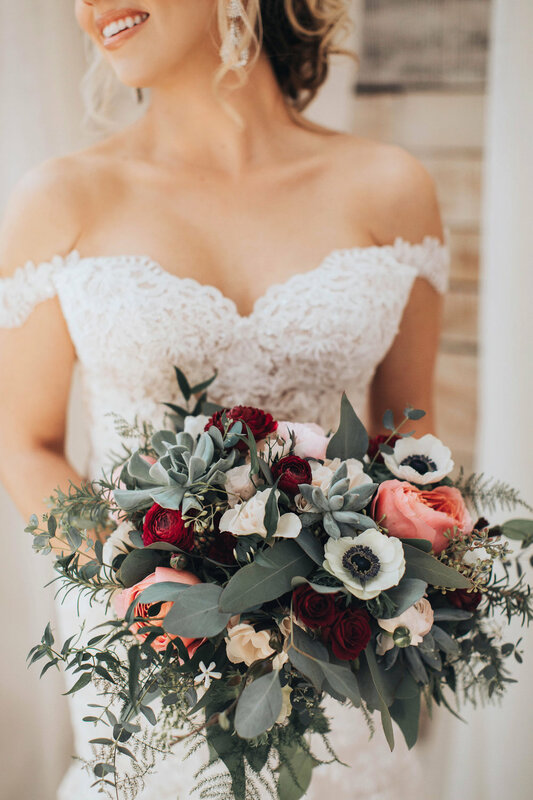 Her bouquet includes King Protea, Juliet Garden Roses, Lisianthus, Stock, Blushing Bride Protea, Jasmine vine and Eucalyptus.